Dr. Gustus began as an associate doctor of Eyecare Associates in 2011 and became partner in 2012. He provides adult and pediatric eye care, contact lens fittings, and manages ocular conditions which include glaucoma, macular degeneration, and diabetic retinopathy. He is board certified by the American Board of Medical Optometry. He has lectured and presented at several national conferences for the profession, including the American Academy of Optometry, American Optometric Association, and Southeastern Council of Optometrists. While in optometry school, Dr. Gustus was a research associate in an advanced retinal imaging lab and was coauthor on several publications and posters during his time there. Locally, Dr. Gustus provides free vision screenings in area schools for children. He is also a provider for InfantSee, a non-profit organization that provides free eye examinations to infants six months to one-year of age. He has also volunteered for the Indiana Special Olympics, and provided vision screenings for children with special needs in Kentucky. He recently returned to Indiana University as a guest speaker for the Optometric Private Practice Club, an organization Dr. Gustus founded as a student that promotes independent optometry. 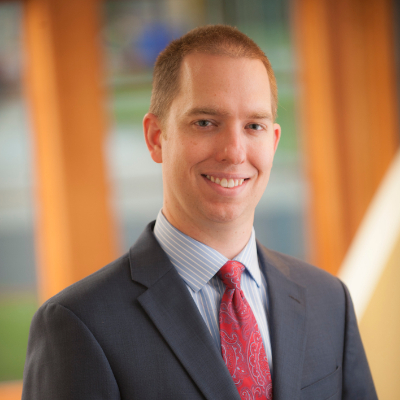 After completing his undergraduate studies at the Indiana University, Dr. Gustus attended Indiana University School of Optometry where he received his Doctorate of Optometry in 2011. He received his Bachelor of Science in Optometry in 2008 and served as an Assistant Instructor in Geometric Optics for two years. Dr. Gustus completed his postgraduate residency in Ocular Disease and Primary Care at the Fort Wayne, Indiana VA Hospital in 2012. Dr. Gustus is a member of the Indiana Optometric Association and American Academy of Optometry. Dr. Gustus enjoys spending time with his wife, Anne, and three daughters, Madeleine, Audrey, and Olivia.